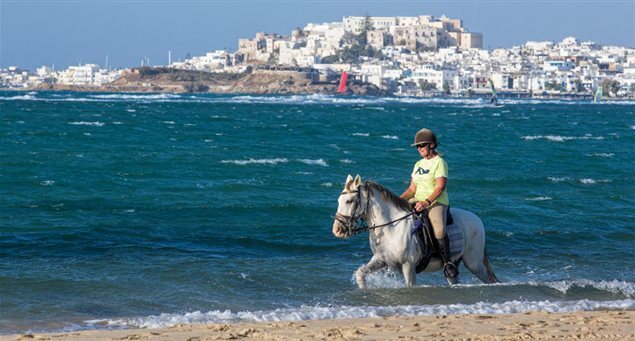 A horse ride during your vacation on Naxos is surely a special experience. You can ride along Naxos’s beaches, enjoying unique moments, but also on trails that offer the opportunity of acquainting yourself with the beauty of the island. Local operators οffer rides on Naxos beaches to riders of all levels. There are also ponies for children to accompany adults on bigger horses. Live up a unique experience on horse riding on a Naxos beach (accompanied by a guide), enjoy a ride under a full moon or just experiment by the seaside and discover Naxos’s unspoiled nature.